Brandy O'Quinn, chairman of the board of directors. Longtime Tarrant County Housing Partnership volunteer Brandy O'Quinn has been named the chairman of the organization's board of directors. Since 2007, O'Quinn has worked as the founding principal of Urban Strategies of Texas, a consulting firm that specializes in public-private partnerships. During that time, she's been instrumental in supporting a number of private sector developers and municipalities in successful project launch efforts, including the creation of a public improvement district in downtown Arlington. She's also the former president of the Camp Bowie District (CBD), a position she held for nine years. During O'Quinn's tenure at CBD, she initiated and oversaw infrastructure improvements, including the maintenance and repair of the district's signature red brick streets; and greatly accelerated the organization's marketing and community outreach efforts. 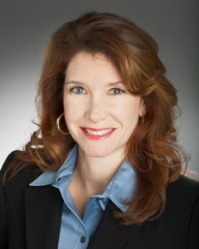 O’Quinn also worked for the Fort Worth Chamber of Commerce and served on the Fort Worth Planning and Zoning Commission as an appointee of then-Fort Worth city council member Wendy Davis. "I've been involved in a number of community organizations over the years, and each experience has brought its own reward," said O'Quinn. "But there's no experience that's been quite like the one I've had with TCHP, because this organization plays such an important role in one of the most fundamental aspects of the American dream: the ability to own your own home, and to create a legacy and tradition of homeownership for your children. "I'm honored to have been chosen for this role and am very excited about the future of our organization," she said. "TCHP has been a cornerstone of my career." Added the organization’s president, Donna Van Ness: “We’re very happy that Brandy has agreed to step up to this new leadership position.